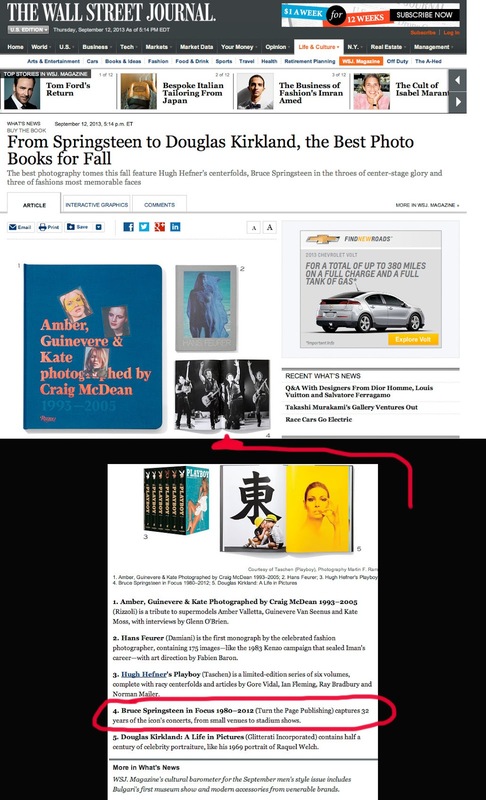 Debra L Rothenberg Photography: Wall Street Journal says my book is one of the "Best Photo Books For The Fall." Wall Street Journal says my book is one of the "Best Photo Books For The Fall." 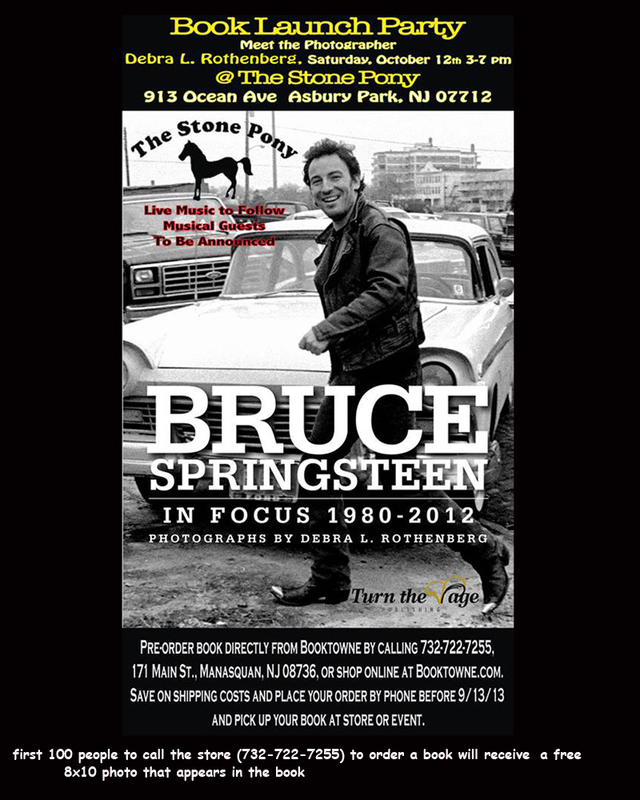 Very excited to see the Wall Street Journal list my book, "Bruce Springsteen IN FOCUS Photographs 1980-2012" as one of the "Best Photo Books for the Fall." One month from today, on Saturday October 12 from 3-7 is the official launch at the Stone Pony in Asbury Park. Hope to see you all there! It's a mini horror movie every week. Supernatural brings American urban legends into your home each episode. All those stories you told around the campfire as a child come to life in this explosive TV show. 123 movies From the exceptional writing to the awesome soundtrack, this TV show is a step above the rest. I love seeing the dynamic between the brothers, Sam and Dean. It seems that no matter what has happened in the past, family is family. I imagine this show is a production nightmare. There are so many great special effects, it's like being at your local cinema. And you can't forget that car. zmovie A '67 Impala that the brothers travel the country in. With the classic rock tunes blaring on the cassette player and the roar of the engine, this car is hot! Overall, I think Supernatural is one of the best shows on TV. My only concern is them running out of good material. watch full movies online free I mean there are only so many urban legends. However, I've heard they've got the first 3 seasons pretty much mapped out, so at least we can have a few good years, right.